Check this page for the latest Zyppah promo codes and deals before purchasing. 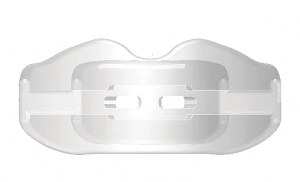 The Zyppah already comes at a pretty good price compared to prescription anti-snoring mouthpieces, and with a coupon code, it is very reasonable for the average customer. You may get free shipping too. The Zyppah coupons range from 15%-25% off, usually around $30, depending on how many mouthpieces you buy, the price at the time of sale, and other details. There will be slight changes in the price and available discount at times, but the amount you pay when using a promo code will generally remain fairly constant. If you feel like you’re not getting as good a deal as you should on the Zyppah, shoot me a message and I’ll see if I can negotiate a better deal with the company on behalf of all readers. 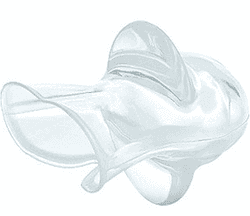 The Zyppah mouthpiece also comes with a great and lenient return policy, so if you decide that the snoring product is not for you, you’ll be able to return it for little cost to you. Have a better day with this coupon and verified high quality anti snoring device. If you still want more information on Zyppah, check out our Zyppah review. Sleep better! I am a nurse practitioner and will sing your praises to all of my patients if you will consider replacing my husbands zippah. He has bought two and I had the best sleep in years but the Yorkies liked them, too! Unfortunately, they will be sleeping elsewhere after we replace it again. How do you suggest keeping it in the mouth? Hi Kim! I’m actually not with Zyppah, just a snoring mouthpiece reviewer. I’m excited to see if this product will work for me. I have permanent bridges in my mouth so I’m confused about why I can’t use this device. That’s the current deal as well – I’ll update this page if they update the policy! Is it 37% off 89? Or 37% off the original base price? I tried clicking through using your link but it always says 89.